Hinta 1200.00 - 3844.74 € / kpl ✔ Saatavuus 3 - 20 arkipäivää tilauksesta. ✔ Varastossa, toimitus heti. 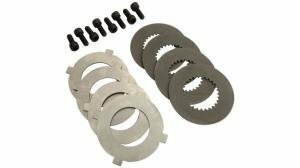 Valitse tuote: Cusco differential Bmw e30 series 1983 - 1991 type-rs 1-way rear differential for mt trans and mechanical oe diff. more info: need the standard c-rings. #3313 1207 280 x2 pieces. LSD BM2 F | 1730.00 € Cusco differential Bmw e30 series 1983 - 1991 type-rs 1.5-way rear differential for mt trans and mechanical oe diff. more info: need the standard c-rings. #3313 1207 280 x2 pieces. LSD BM2 L15 | 1730.00 € Cusco differential Bmw e30 series 1983 - 1991 type-rs 2-way rear differential for mt trans and mechanical oe diff. more info: need the standard c-rings. #3313 1207 280 x2 pieces. LSD BM2 F2 | 1730.00 € Cusco differential Bmw e30 series 1983 - 1991 type-rs 2-way rear differential for mt trans and mechanical oe diff. more info: need the standard c-rings. #3313 1207 280 x2 pieces. LSD BM2 L2 | 1730.00 € Cusco differential Bmw e34 series 1988 - 1996 type-rs 1-way rear differential for mt trans and mechanical oe diff. LSD BM6 F | 2268.52 € Cusco differential Bmw e34 series 1988 - 1996 type-rs 1.5-way rear differential for mt trans and mechanical oe diff. LSD BM6 L15 | 2268.52 € Cusco differential Bmw e34 series 1988 - 1996 type-rs 2-way rear differential for mt trans and mechanical oe diff. LSD BM6 F2 | 2268.52 € Cusco differential Bmw e34 series 1988 - 1996 type-rs 2-way rear differential for mt trans and mechanical oe diff. LSD BM6 L2 | 2268.52 € Cusco differential Bmw e36 series 1991 - 2000 type-rs 1-way rear differential for mt smg trans and mechanical oe diff. LSD BM6 F | 2268.52 € Cusco differential Bmw e36 series 1991 - 2000 type-rs 1-way rear differential for mt trans and mechanical oe diff. more info: need the standard c-rings. #3313 1207 280 x2 pieces. LSD BM7 F | 1730.00 € Cusco differential Bmw e36 series 1991 - 2000 type-rs 1-way rear differential for mt trans and open oe diff. more info: need the standard c-rings. #3313 1207 280 x2 pieces. LSD BM4 F | 1730.00 € Cusco differential Bmw e36 series 1991 - 2000 type-rs 1.5-way rear differential for mt smg trans and mechanical oe diff. LSD BM6 L15 | 2268.52 € Cusco differential Bmw e36 series 1991 - 2000 type-rs 1.5-way rear differential for mt trans and mechanical oe diff. more info: need the standard c-rings. #3313 1207 280 x2 pieces. LSD BM7 L15 | 1730.00 € Cusco differential Bmw e36 series 1991 - 2000 type-rs 1.5-way rear differential for mt trans and open oe diff. more info: need the standard c-rings. #3313 1207 280 x2 pieces. LSD BM4 L15 | 1730.00 € Cusco differential Bmw e36 series 1991 - 2000 type-rs 2-way rear differential for mt smg trans and mechanical oe diff. LSD BM6 F2 | 2268.52 € Cusco differential Bmw e36 series 1991 - 2000 type-rs 2-way rear differential for mt smg trans and mechanical oe diff. LSD BM6 L2 | 2268.52 € Cusco differential Bmw e36 series 1991 - 2000 type-rs 2-way rear differential for mt trans and mechanical oe diff. more info: need the standard c-rings. #3313 1207 280 x2 pieces. LSD BM7 F2 | 1730.00 € Cusco differential Bmw e36 series 1991 - 2000 type-rs 2-way rear differential for mt trans and mechanical oe diff. more info: need the standard c-rings. #3313 1207 280 x2 pieces. LSD BM7 L2 | 1730.00 € Cusco differential Bmw e36 series 1991 - 2000 type-rs 2-way rear differential for mt trans and open oe diff. more info: need the standard c-rings. #3313 1207 280 x2 pieces. LSD BM4 F2 | 1730.00 € Cusco differential Bmw e36 series 1991 - 2000 type-rs 2-way rear differential for mt trans and open oe diff. more info: need the standard c-rings. #3313 1207 280 x2 pieces. LSD BM4 L2 | 1730.00 € Cusco differential Bmw e46 series 1998 - 2005 type-rs 1-way rear differential for mt smg trans and mechanical oe diff. LSD BM5 F | 2268.52 € Cusco differential Bmw e46 series 1998 - 2005 type-rs 1-way rear differential for mt trans and open oe diff. more info: need the standard oil seal. #3310 7506 603 x2 pieces. LSD BM1 F | 1730.00 € Cusco differential Bmw e46 series 1998 - 2005 type-rs 1-way rear differential for smg trans and mechanical oe diff. LSD BM5 F | 2268.52 € Cusco differential Bmw e46 series 1998 - 2005 type-rs 1.5-way rear differential for mt smg trans and mechanical oe diff. LSD BM5 L15 | 2268.52 € Cusco differential Bmw e46 series 1998 - 2005 type-rs 1.5-way rear differential for mt trans and open oe diff. more info: need the standard oil seal. #3310 7506 603 x2 pieces. LSD BM1 L15 | 1730.00 € Cusco differential Bmw e46 series 1998 - 2005 type-rs 1.5-way rear differential for smg trans and mechanical oe diff. LSD BM5 L15 | 2268.52 € Cusco differential Bmw e46 series 1998 - 2005 type-rs 2-way rear differential for mt smg trans and mechanical oe diff. LSD BM5 F2 | 2268.52 € Cusco differential Bmw e46 series 1998 - 2005 type-rs 2-way rear differential for mt smg trans and mechanical oe diff. LSD BM5 L2 | 2268.52 € Cusco differential Bmw e46 series 1998 - 2005 type-rs 2-way rear differential for mt trans and open oe diff. more info: need the standard oil seal. #3310 7506 603 x2 pieces. LSD BM1 F2 | 1730.00 € Cusco differential Bmw e46 series 1998 - 2005 type-rs 2-way rear differential for mt trans and open oe diff. more info: need the standard oil seal. #3310 7506 603 x2 pieces. LSD BM1 L2 | 1730.00 € Cusco differential Bmw e46 series 1998 - 2005 type-rs 2-way rear differential for smg trans and mechanical oe diff. LSD BM5 F2 | 2268.52 € Cusco differential Bmw e46 series 1998 - 2005 type-rs 2-way rear differential for smg trans and mechanical oe diff. LSD BM5 L2 | 2268.52 € Cusco differential Bmw z3 series 1996 - 2002 type-rs 1-way rear differential for at trans and mechanical oe diff. more info: need the standard c-rings. #3313 1207 280 x2 pieces. LSD BM7 F | 1730.00 € Cusco differential Bmw z3 series 1996 - 2002 type-rs 1.5-way rear differential for at trans and mechanical oe diff. more info: need the standard c-rings. #3313 1207 280 x2 pieces. 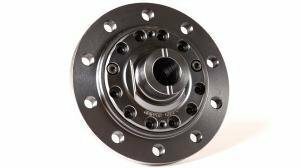 LSD BM7 L15 | 1730.00 € Cusco differential Bmw z3 series 1996 - 2002 type-rs 2-way rear differential for at trans and mechanical oe diff. more info: need the standard c-rings. #3313 1207 280 x2 pieces. LSD BM7 F2 | 1730.00 € Cusco differential Bmw z3 series 1996 - 2002 type-rs 2-way rear differential for at trans and mechanical oe diff. more info: need the standard c-rings. #3313 1207 280 x2 pieces. LSD BM7 L2 | 1730.00 € Cusco differential Cusco type-rs 1-way front differential for mt sst trans and acd oe diff. LSD 453 C | 1390.00 € Cusco differential Cusco type-rs 1-way front differential for mt sst trans and acd oe diff. LSD 453 F | 1390.00 € Cusco differential Cusco type-rs 1-way front differential for mt trans and acd oe diff. LSD 454 C | 2236.38 € Cusco differential Cusco type-rs 1-way front differential for mt trans and acd oe diff. LSD 454 F | 2236.38 € Cusco differential Cusco type-rs 1-way front differential for mt trans and any oe diff. 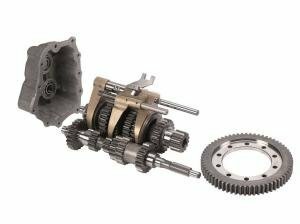 LSD BM0 C | 1400.00 € Cusco differential Cusco type-rs 1-way front differential for mt trans and open oe diff. more info: when installing to a vehicle with viscous lsd: ring gear and the bolts must be changed. 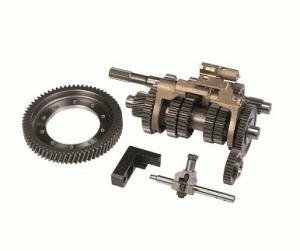 LSD 134 C | 1370.00 € Cusco differential Cusco type-rs 1-way front differential for mt trans and open oe diff. more info: when installing to a vehicle with viscous lsd: ring gear and the bolts must be changed. LSD 134 F | 1370.00 € Cusco differential Cusco type-rs 1-way rear differential for at trans and open oe diff. LSD 168 F | 1490.00 € Cusco differential Cusco type-rs 1-way rear differential for at trans and open/torsen oe diff. LSD 167 F | 1490.00 € Cusco differential Cusco type-rs 1-way rear differential for at trans and viscous oe diff. LSD 252 F | 1490.00 € Cusco differential Cusco type-rs 1-way rear differential for mt trans and ayc oe diff. LSD 141 F | 1330.00 € Cusco differential Cusco type-rs 1-way rear differential for mt trans and ayc oe diff. LSD 452 F | 1400.00 € Cusco differential Cusco type-rs 1-way rear differential for mt trans and ayc oe diff. more info: competition (gymkhana) model (55-deg. 1-way). 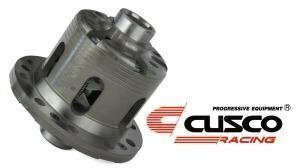 LSD 141 FG | 1330.00 € Cusco differential Cusco type-rs 1-way rear differential for mt trans and ayc oe diff. more info: competition (rally) model (45-deg. 1-way). 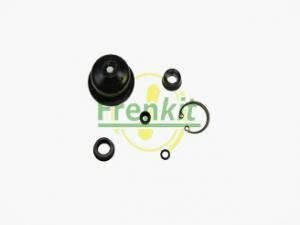 LSD 141 FR | 1330.00 € Cusco differential Cusco type-rs 1-way rear differential for mt trans and viscous oe diff. LSD 251 F | 1490.00 € Cusco differential Cusco type-rs 1-way rear differential for mt trans and viscous oe diff. more info: original shafts must be modified. LSD 166 F | 1490.00 € Cusco differential Cusco type-rs 1-way rear differential for mt/at trans and viscous oe diff. 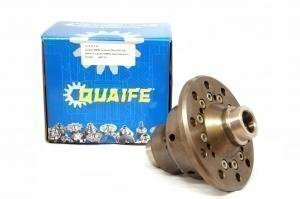 more info: includes: side bearing + diff. case gasket. LSD 263 FB | 1390.00 € Cusco differential Cusco type-rs 1.5-way front differential for mt sst trans and acd oe diff. LSD 453 C15 | 1390.00 € Cusco differential Cusco type-rs 1.5-way front differential for mt trans and acd oe diff. LSD 454 C15 | 2236.38 € Cusco differential Cusco type-rs 1.5-way front differential for mt trans and open oe diff. more info: when installing to a vehicle with viscous lsd: ring gear and the bolts must be changed. LSD 134 C15 | 1370.00 € Cusco differential Cusco type-rs 1.5-way rear differential for at trans and open oe diff. LSD 168 L15 | 1490.00 € Cusco differential Cusco type-rs 1.5-way rear differential for at trans and open/torsen oe diff. LSD 167 L15 | 1340.00 € 1490.00 € Cusco differential Cusco type-rs 1.5-way rear differential for at trans and viscous oe diff. LSD 252 L15 | 1490.00 € Cusco differential Cusco type-rs 1.5-way rear differential for mt trans and ayc oe diff. LSD 141 L15 | 1330.00 € Cusco differential Cusco type-rs 1.5-way rear differential for mt trans and ayc oe diff. LSD 452 L15 | 1400.00 € Cusco differential Cusco type-rs 1.5-way rear differential for mt trans and viscous oe diff. LSD 251 L15 | 1490.00 € Cusco differential Cusco type-rs 1.5-way rear differential for mt trans and viscous oe diff. more info: original shafts must be modified. LSD 166 L15 | 1490.00 € Cusco differential Cusco type-rs 1.5-way rear differential for mt/at trans and viscous oe diff. more info: includes: side bearing + diff. case gasket. LSD 263 L15B | 1390.00 € Cusco differential Cusco type-rs 2-way center differential for mt trans and dc oe diff. more info: competition (rally) model (45-deg. 2-way). LSD 187 F | 1400.00 € Cusco differential Cusco type-rs 2-way center differential for mt trans and viscous/dc oe diff. more info: competition (rally) model (45-deg. 2-way). some parts must be changed when installing to dc diff. LSD 187 F | 1400.00 € Cusco differential Cusco type-rs 2-way rear differential for at trans and open oe diff. LSD 168 F2 | 1490.00 € Cusco differential Cusco type-rs 2-way rear differential for at trans and open oe diff. LSD 168 L2 | 1490.00 € Cusco differential Cusco type-rs 2-way rear differential for at trans and open/torsen oe diff. LSD 167 F2 | 1490.00 € Cusco differential Cusco type-rs 2-way rear differential for at trans and open/torsen oe diff. LSD 167 L2 | 1490.00 € Cusco differential Cusco type-rs 2-way rear differential for at trans and viscous oe diff. LSD 252 F2 | 1490.00 € Cusco differential Cusco type-rs 2-way rear differential for at trans and viscous oe diff. LSD 252 L2 | 1490.00 € Cusco differential Cusco type-rs 2-way rear differential for mt trans and ayc oe diff. LSD 141 F2 | 1330.00 € Cusco differential Cusco type-rs 2-way rear differential for mt trans and ayc oe diff. LSD 141 L2 | 1330.00 € Cusco differential Cusco type-rs 2-way rear differential for mt trans and ayc oe diff. LSD 452 F2 | 1400.00 € Cusco differential Cusco type-rs 2-way rear differential for mt trans and ayc oe diff. LSD 452 L2 | 1400.00 € Cusco differential Cusco type-rs 2-way rear differential for mt trans and viscous oe diff. LSD 251 F2 | 1490.00 € Cusco differential Cusco type-rs 2-way rear differential for mt trans and viscous oe diff. LSD 251 L2 | 1490.00 € Cusco differential Cusco type-rs 2-way rear differential for mt trans and viscous oe diff. more info: original shafts must be modified. LSD 166 F2 | 1490.00 € Cusco differential Cusco type-rs 2-way rear differential for mt trans and viscous oe diff. more info: original shafts must be modified. LSD 166 L2 | 1490.00 € Cusco differential Cusco type-rs 2-way rear differential for mt/at trans and viscous oe diff. more info: includes: side bearing + diff. case gasket. LSD 263 F2B | 1390.00 € Cusco differential Cusco type-rs 2-way rear differential for mt/at trans and viscous oe diff. more info: includes: side bearing + diff. case gasket. 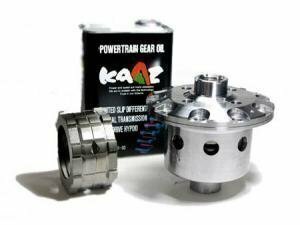 LSD 263 L2B | 1390.00 € Cusco differential Daihatsu boon x4 m312s type-rs 1-way front differential for mt trans and any oe diff. LSD 183 F2 | 1330.00 € Cusco differential Honda 6th gen 1996 - 2000 type-rs 1-way front differential for mt trans and open oe diff. LSD 316 C | 1230.00 € Cusco differential Honda 6th gen 1996 - 2000 type-rs 1-way front differential for mt trans and open oe diff. LSD 316 F | 1230.00 € Cusco differential Honda 6th gen 1996 - 2000 type-rs 1.5-way front differential for mt trans and open oe diff. LSD 316 C15 | 1230.00 € Cusco differential Honda 7th gen 2001 - 2005 type-rs 1-way front differential for mt trans and open/helical oe diff. more info: need ring gear bolts #90017pyz000 x 10. LSD 329 C | 1400.00 € Cusco differential Honda 7th gen 2001 - 2005 type-rs 1-way front differential for mt trans and open/helical oe diff. more info: need ring gear bolts #90017pyz000 x 10. LSD 329 F | 1400.00 € Cusco differential honda accord cd6 type-rs 1-way front differential for mt trans and open oe diff. more info: not for original viscous lsd. 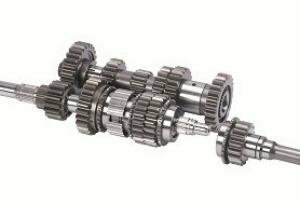 LSD 175 C | 1230.00 € Cusco differential honda accord cd6 type-rs 1-way front differential for mt trans and open oe diff. more info: not for original viscous lsd. LSD 175 F | 1230.00 € Cusco differential honda accord cd6 type-rs 1.5-way front differential for mt trans and open oe diff. more info: not for original viscous lsd. LSD 175 C15 | 1230.00 € Cusco differential honda accord euror cl1 type-rs 1-way front differential for mt trans and helical oe diff. Vuodesta 1977 Japanilaista taattua laatua ja hiottua ammattitaitoa. Cuscon lukkoperät soveltuvat erinomaisesti kilpakäyttöön, mutta voidaan myös käyttää katukäytössä. Cusco luokittelee lukkoperien ramppikulmat 1-way, 1.5-way tai 2-way tyyppisinä, jotka tarkoittavat tiettyjä ramppikulmia. Kaikkiin lukkoperiin on saatavilla varaosat ja lukkoperät ovat huollettavissa. Type-RS lukkoperä: Levypakkojen esijännitys on auki suuntaan, eli lukolla on mahdollista ajaa myös kadulla vaikka se käytännössä kisalukko onkin. Type-MZ lukkoperä: Levypakkojen esijännitys on kiinni suuntaan, eli lukko pitää jo hivenen ilman vetoa. Suosittelemme MZ-malleja kilpakäyttöön ja RS-malleja kompromissina "katukilpureihin". Öljyiksi levylukkoperille suosittelemme esimerkiksi Red Line tai Amsoil 75W90 tai 75W140 lukkoperäöljyä jotka sisältävät tarvittavan lisäaineistuksen lukkoperille. Viskositeetti määräytyy auton alkuperäisen peräöljyn viskositeetin mukaisesti. Lukkoperä- tai lukittuva tasauspyörästö mahdollistaa paremman pidon, sillä avoimesta tasauspyörästöstä poiketen lukkoperällä akselin kummatkin perät toimivat vetävinä.